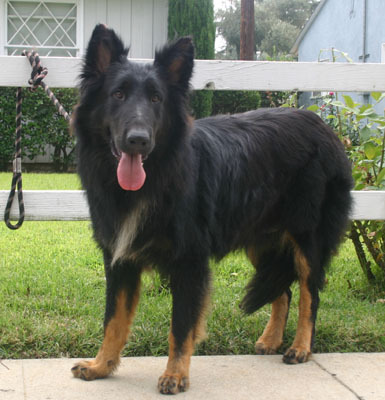 Oso von Brink is a beautiful 3-year-old long haired German Shepherd. 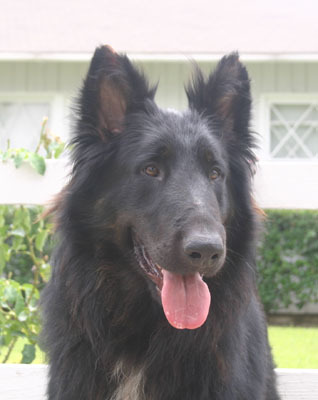 He has a beautiful thick coat and an especially sweet face. 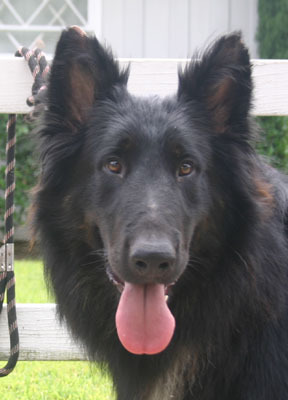 Oso is a typical long haired German shepherd with the incredibly mellow personality. He is so gentle and easy going. He does well with other dogs; he actually feels happier to be in the presence of other dogs. 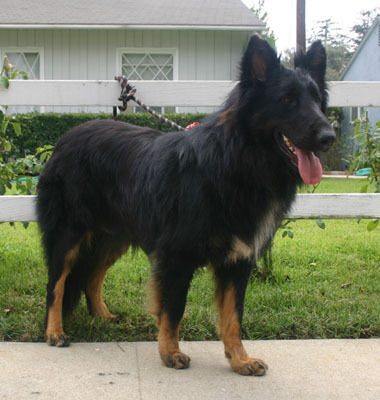 He was frightened of some aggressive cats and jumped about a foot when they hissed at him. 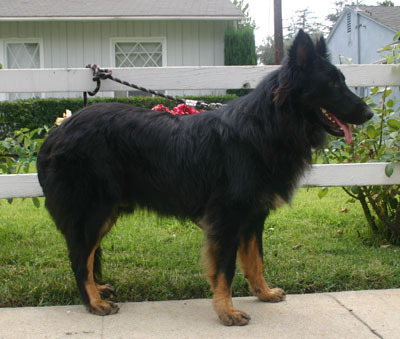 Oso just stays right by your side and walks well on a leash. 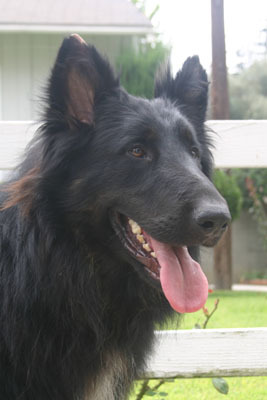 He is just a love bug and needs a gentle family to love.